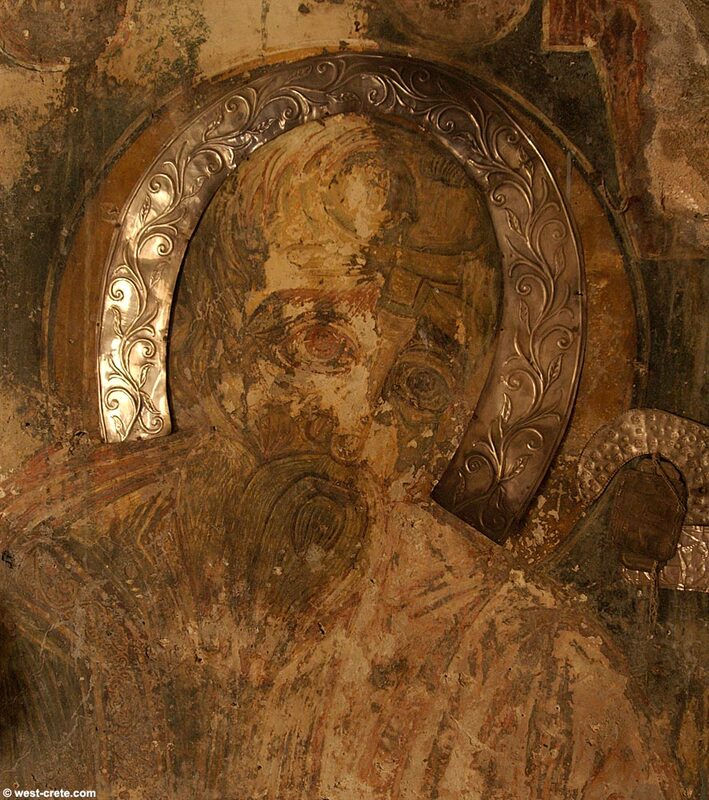 A depiction of Agios Ioannis Theologos (St. John the Apostle) in a 14th century fresco in the church of Agios Ioannis near Sfakia. Unfortunately most of the frescoes have disappeared (or been painted over?) but the little that is left is of impressive quality. The silver decoration around the saint is unusual and I suppose that it was added at a later date.